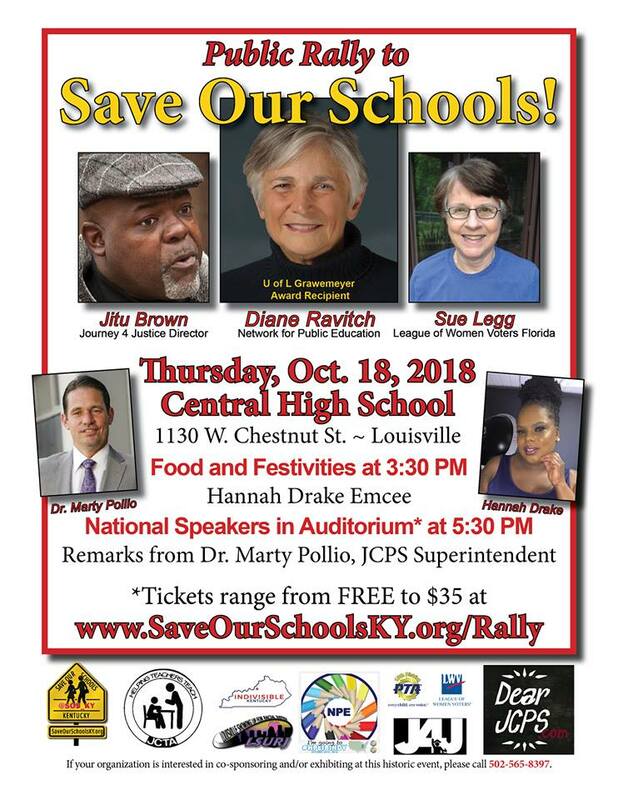 MAIN EVENT: Rally to Save Our Schools, Featuring Diane Ravitch, Jitu Brown and Sue Legg! TICKETS ARE STILL AVAILABLE, First come, first served. PLEASE GET YOUR TICKETS AT THE DOOR! Come hear from National Education Activists and Organizers Diane Ravitch, Jitu Brown, Sue Legg and others! Learn about the threats facing urban and rural public schools across the country and in our OWN BACK YARDS!